With over 45 years of combined industry experience, our team is dedicated to the success of our clients through our state-of-the-art technology, industry know-how and out-of-the-box thinking. We are a one-stop-shop supplying vegetated systems with warranty and maintenance support as well as access to a variety of analytical support service​s such as ​stormwater calculations specific to location ​and ​building/roof type. With a combined passion for the environment and sustainable business, Christian is a leader in the green roof industry with more than 200 thriving green roofs under his belt. Christian’s vast hands-on experience from design and installation to on-going maintenance, ensures effective project planning, seamless construction management and a deep, practical knowledge of various green roof technologies. His commitment to excellence and customer service has engendered confidence and respect among clients. 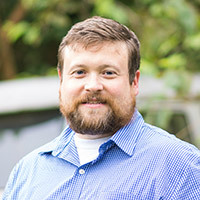 As a hands-on estimator and project design team member for more than 10 years, Rodney has been involved in delivering full life cycle new construction, retrofit, and rehabilitation green roof solutions on over a half million square feet of structures in the mid-Atlantic region. Finding real world, economic, sustainable solutions with a dedicated team of owner’s, roofers, GCs, engineers and architects drives his interest in vegetated roofs and stormwater. He is a team–player, interested in vegetated roofing research, innovative design, and applying common sense solutions to increasing stormwater management concerns. 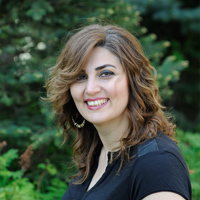 With a background in architectural engineering, Sawsan brings specialized knowledge and know-how in her service. 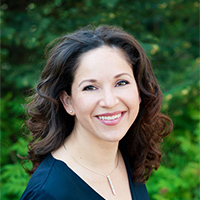 Sawsan works with designers, owners and contractors on vegetated roofs of various complexities – retrofits and new builds – providing details, specs, and other technical info, as well as timely estimates. Sawsan also works with designers to ensure specified products meet customer goals and local, municipal requirements. A leading green roof consultant for nearly ten years, Sasha has considerable experience working with designers and contractors on vegetated roofs of various complexities – from retrofits to new construction. Her work as a technical consultant, estimator, and installation supervisor on various vegetated roofing projects across the country has established Sasha as one the industry’s foremost green roof professionals. Sasha’s responsibilities also include training on use of products, helping develop specifications for new projects and organizing and managing product testing. 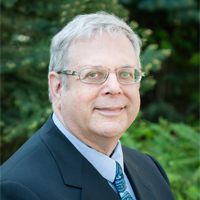 Richard Aronson is a Chartered Professional Accountant (CPA, CMA), with many years of experience as a financial controller, production manager, and general manager, with oversight of systems and processes including areas of operations, budgeting and strategic planning. 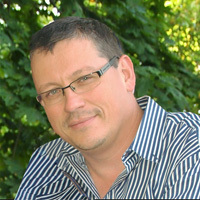 Richard was founder and Managing Director of the Quinte Economic Development Commission, President and CEO of Eddy Match Co. Ltd., and GM of Hunter Douglas Canada Inc.
Cristina is responsible for all communications and brand development, market research and strategic planning. 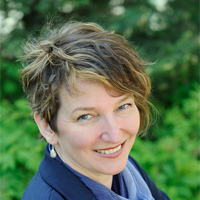 Cristina’s role includes education through webinars, journals and blogs about stormwater management, and green roofs in particular, with focus on general and technical information.